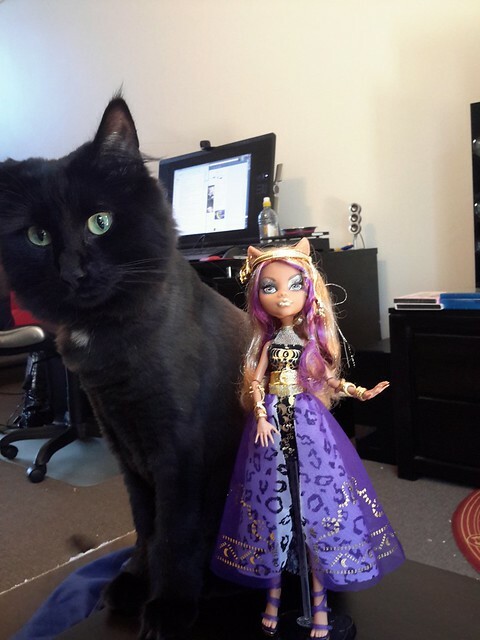 Have any pics where a fur-kid or other interloper photobombed your dollie pic? Let's see 'em! Am I the inspiration for this? I haven't had a furry photobomber. But once I was photographing some dolls up against these thumb tack noticeboard things I use for background and a spider crawled on my hand and I freaked out, put down the camera and shook it off me in a panic (I'm pretty terrified of spiders). I imagine the spider came from the dusty corner I was storing the boards in and it hung on when I got them out for photos. Spider didn't get in the photo though. 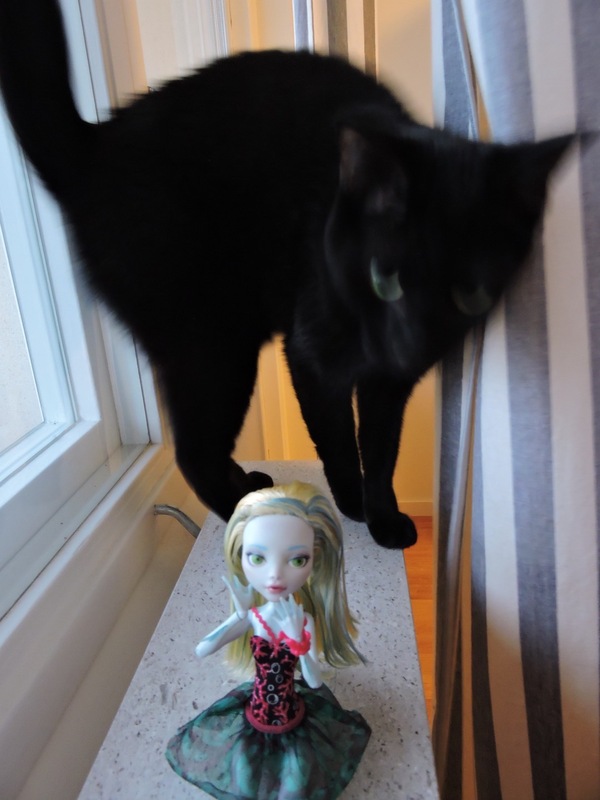 Freyja very often tries to "help" me with dolls. Sort of!! And also my Bella is ALWAYS getting into the dollie pics and 'helping' - so I have some 'behind the scenes' pics from my recent Star Wars Day tribute to Carrie Fisher that I'll upload. I figured if we both had photobombers, with all the other fur-kids and human family this group has, we'd get some pretty funny pics! Lauren, it's too bad there's no pic of your spidery 'guest' - but I hear ya, gotta get those critters off RIGHT NOW! Ewwwww! hahaha hilarious idea for a thread. here's one from a shoot with operetta. "Young lady, you put your clothes on right this instant. No daughter of mine is leaving the house like that!" HAHA SERIOUSLY THOUGH.. thats her personality too, shes such a boss. shes small but shes powerful hahah and excuse operetta's clothes, it was a lady gaga-esque inspired shoot! Oh, I'm not even vaguely offended! It was just the shadows giving so much expression to her little ewok-like face that made me say it.